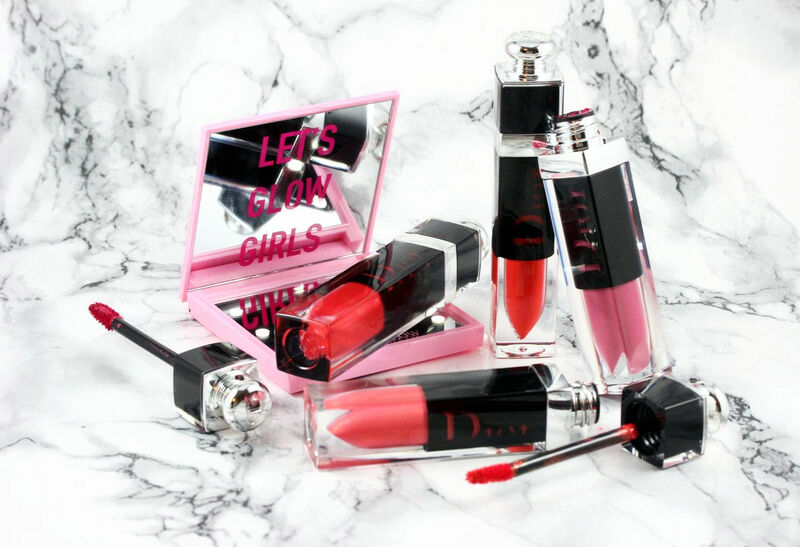 Glossy lips seem to make a huge come back this spring/summer and this makes me happy because although I love matte lips, there is always something beautiful about juicy and luscious lips, isn't it? 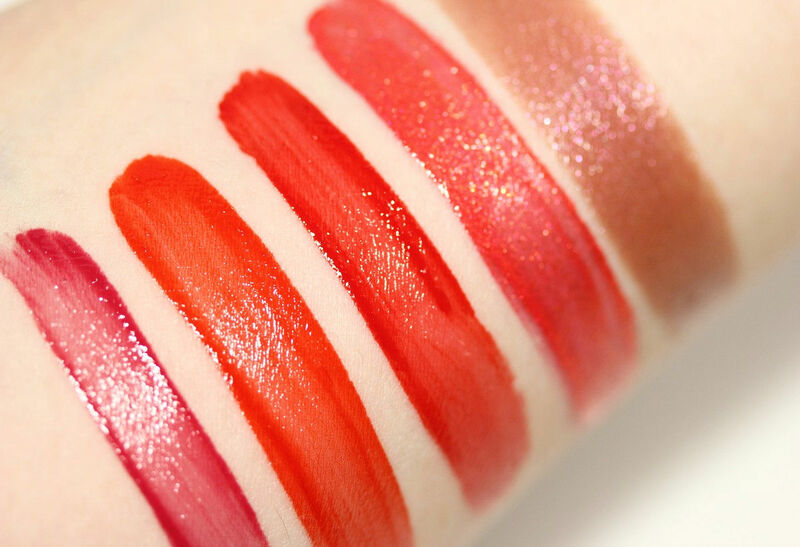 The only thing I don't like about glossy lip products: they tend to last only 1-2 hours and then you have to reapply. 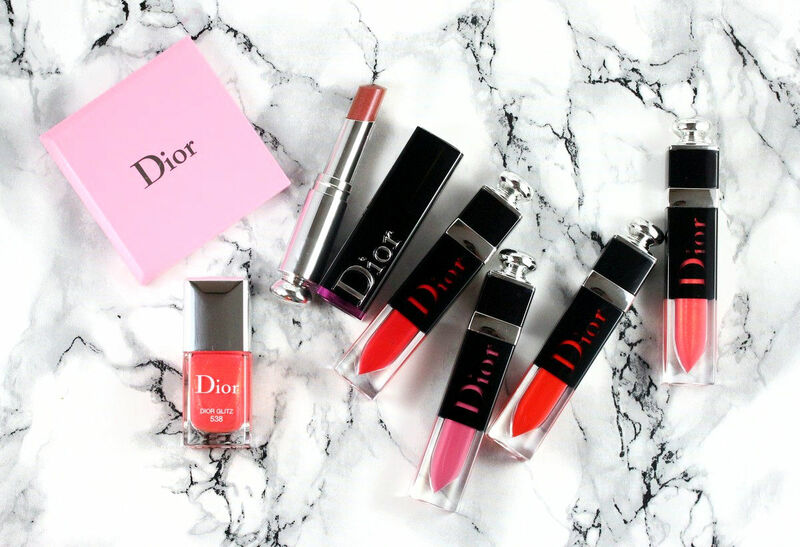 When you're working all day, touch-ups are not always possible and that's mainly why I've been loving matte lipsticks or lip tints, they last from morning to lunch and from lunch until the end of the afternoon and you don't have to worry about your lipstick. 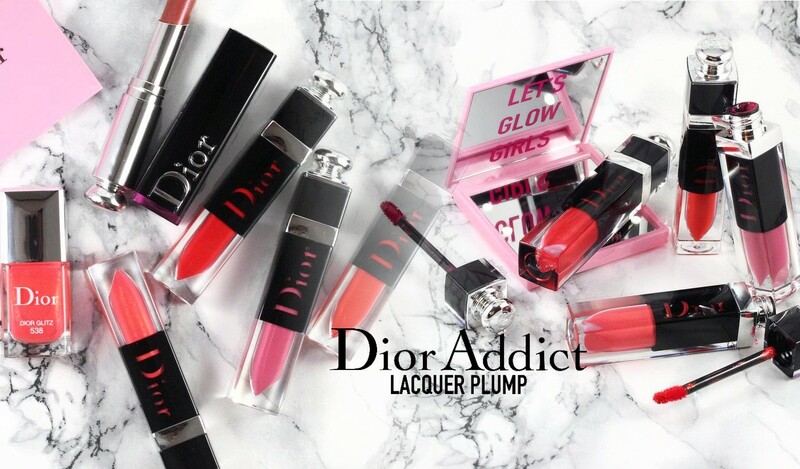 That's where Dior comes to play with their new Dior Addict Lacquer Plump lipsticks: they're shiny and glossy (they're lip lacquers after all) and...last for hours because they stain the lips, like a lip tattoo. 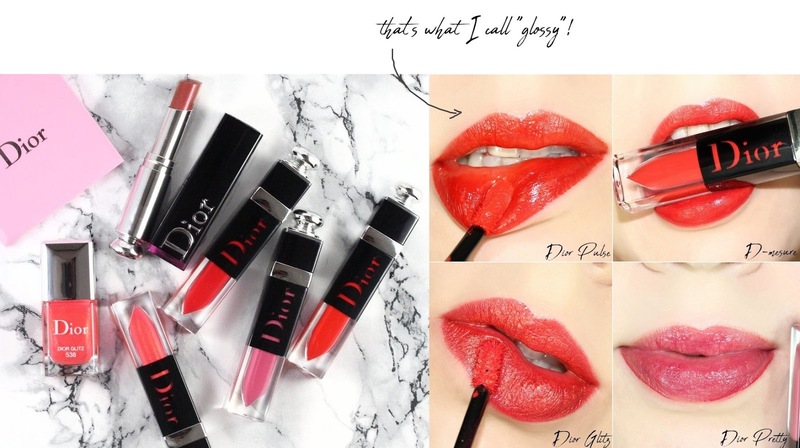 In comparison to the Dior Lip Tattos released last year (reviewed here), these are more glossy and pigmented and I think they last longer, too. The lips tattoos have a more matte and natural finish. 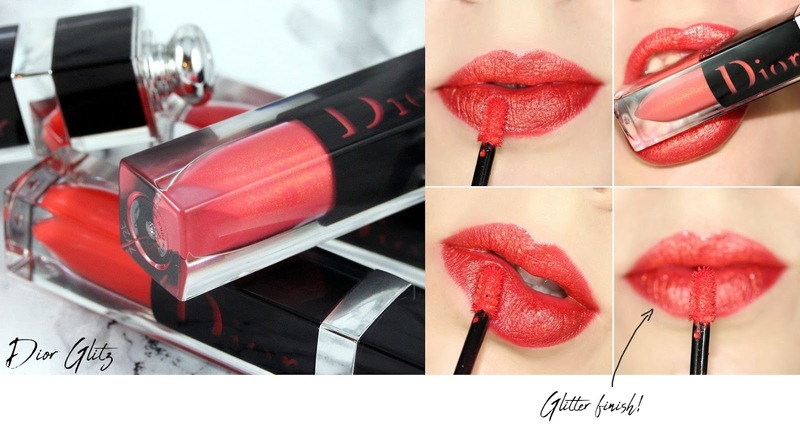 So if you want something more sutble, the lip tattoos are great, if you want to glam you up, the Lacquer plump are amazing! 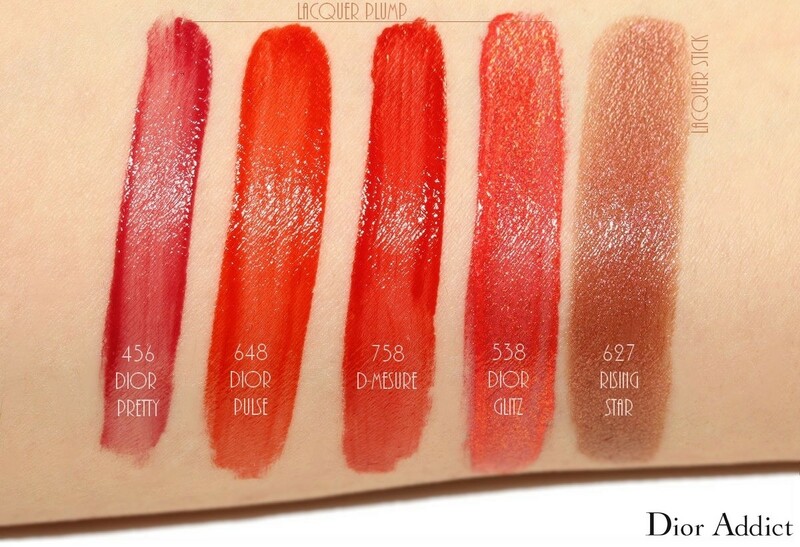 In the swatches below, I've also added Dior Addict Lacquer Stick in the shade Rising Start because it's a new one and it's such a gorgeous color (a brown with pink shimmer, summer perfect I tell you). 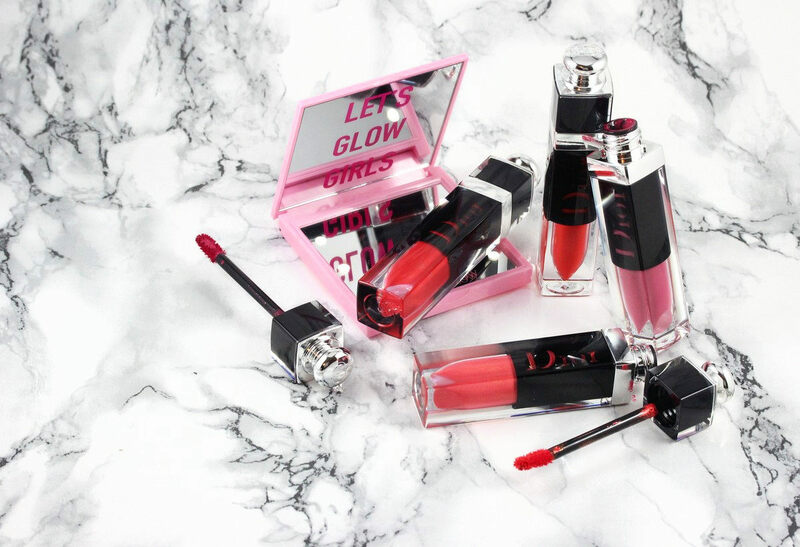 "Dior Addict Lacquer Plump kicks into action upon contact with the lips to reveal its bold colour and radiant lacquer finish. 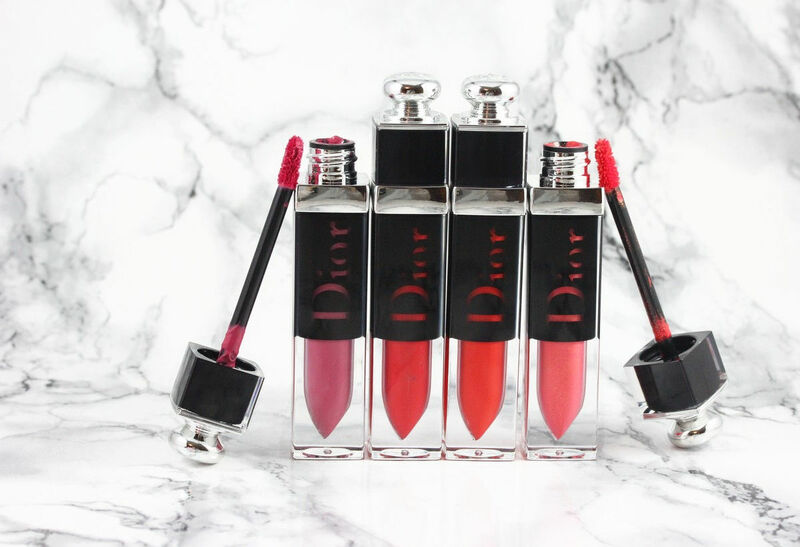 A true breakthrough from the Dior laboratories, this new lipstick is the perfect makeup and skincare hybrid. 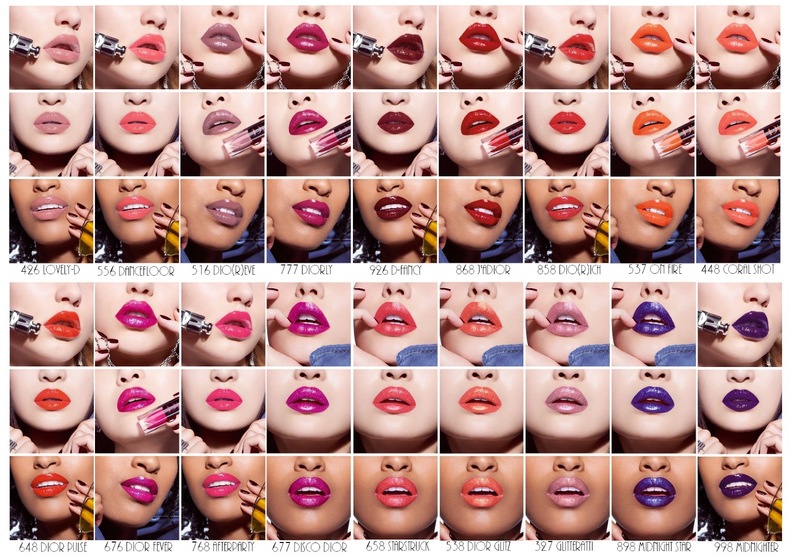 Like an ink, it tints lips with long-wear colour for 8 hours. Like a radiant plumper, it delivers a volume-boosting and shaping effect, along with unprecedented hydration. 24 hours after application, lips enjoy a 78% increase in moisture levels." I have to agree with the comfortable feel. You can't actually feel that you have something on your lips. 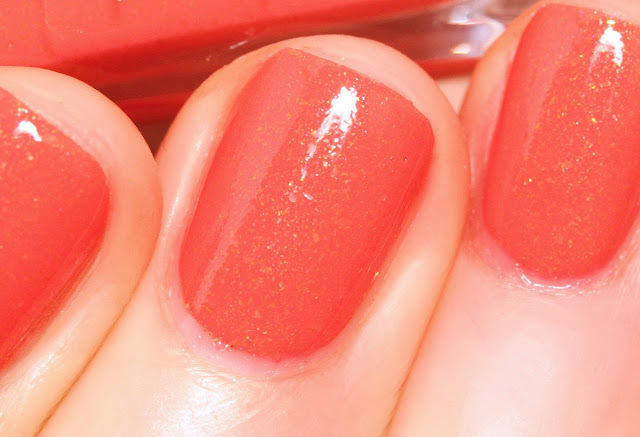 This is quite unusual for a lip lacquer! The texture is really thin. "Its secret? An oil-in-water emulsion infused with pigments and enriched with a natural-origin hibiscus extract for a plumping effect and hyaluronic acid for moisturization." 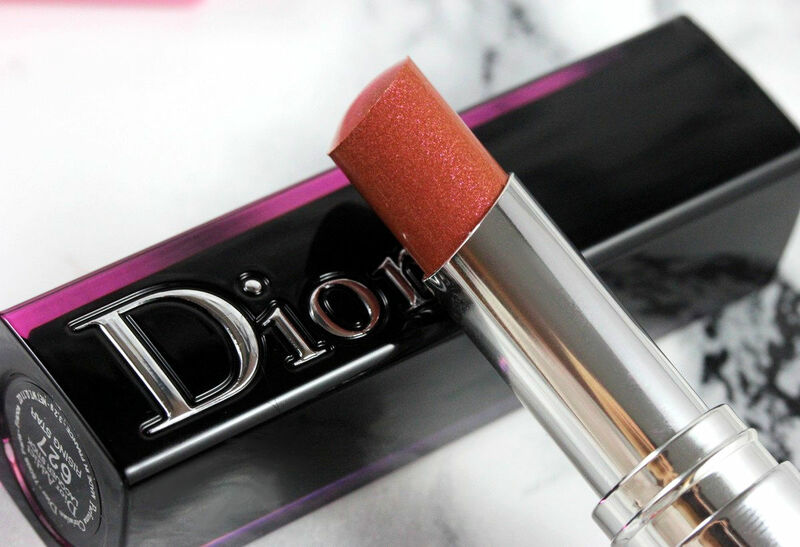 The finish is glossy and definitely make the lips plumper. 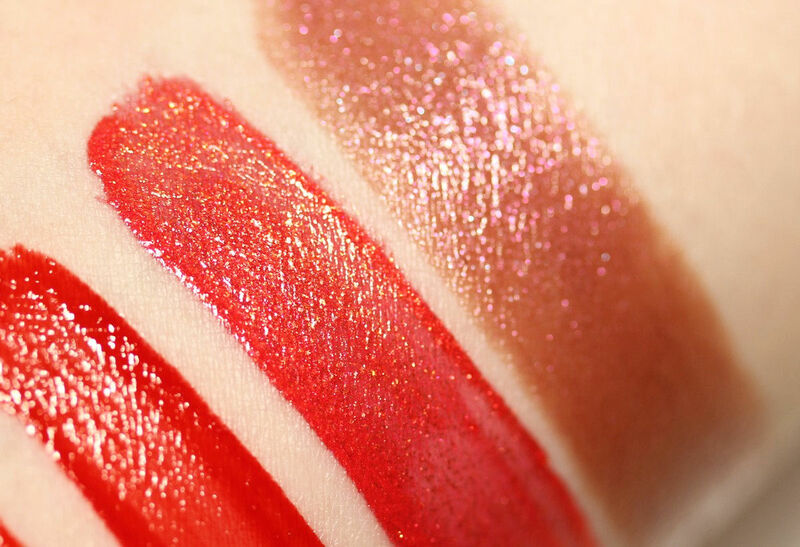 I was also surprised to see that this glossy finish actually lasts pretty well on the lips. After~3h the lips are still shiny! 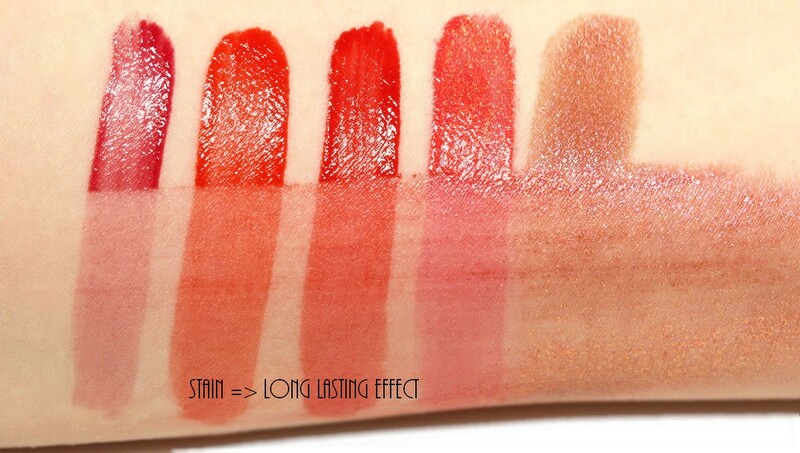 Then the shine fades gradually but the color is still present thanks to the ink effect of the formula that stains the lips. 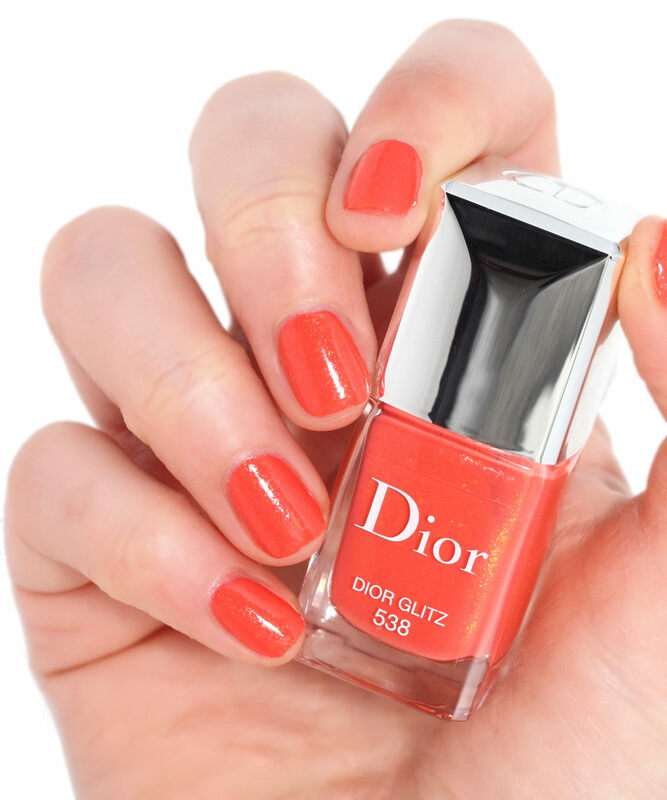 And....a shot of the beautiful Dior Glitz in the nail polish version!! Vraiment je les adore!! le Dior Glitz est une vraie merveille!